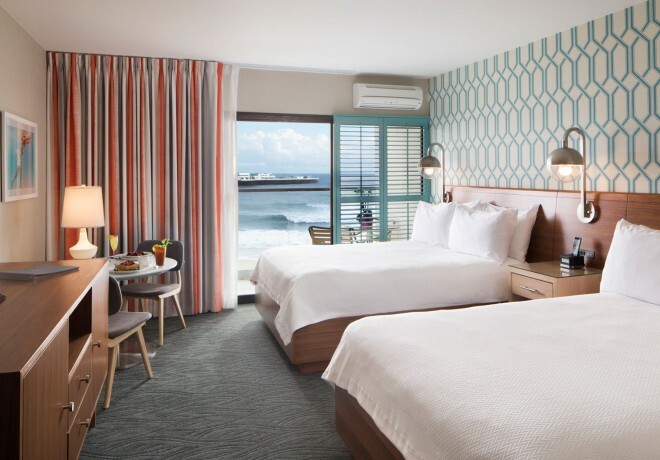 A stylish oceanfront retreat, our Ocean View Deluxe Tower King guest room features sliding glass doors to a private balcony. 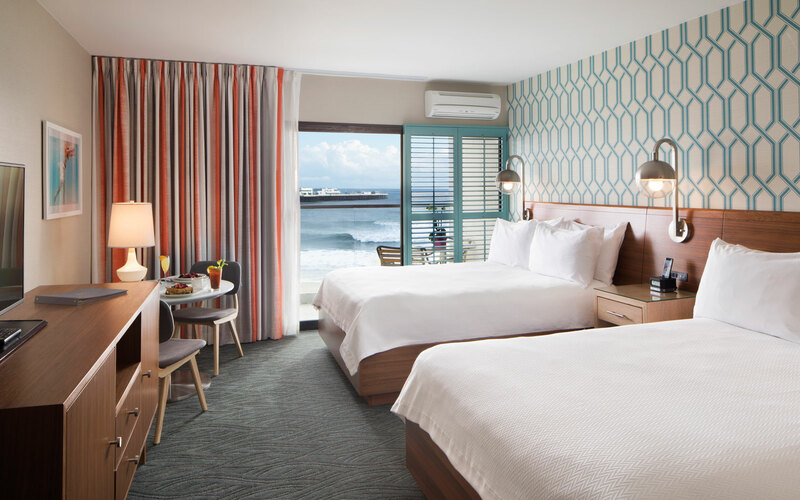 Ideal for families, our stylishly furnished Ocean View Deluxe Two Queen guest room features a private balcony and plush queen beds. 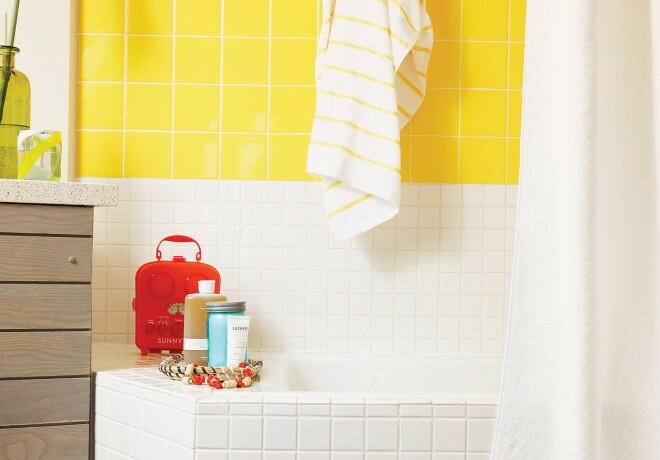 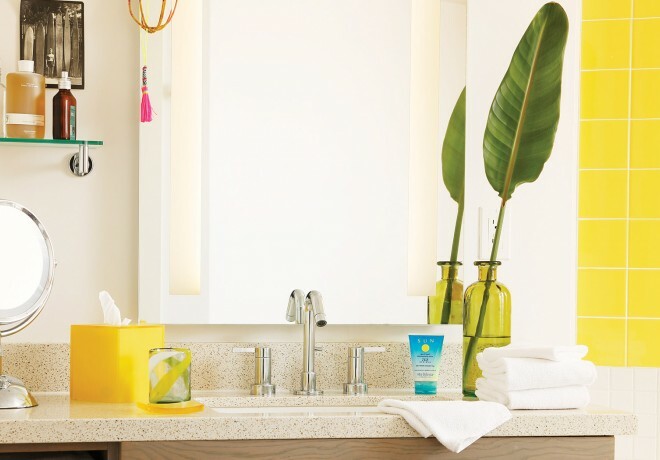 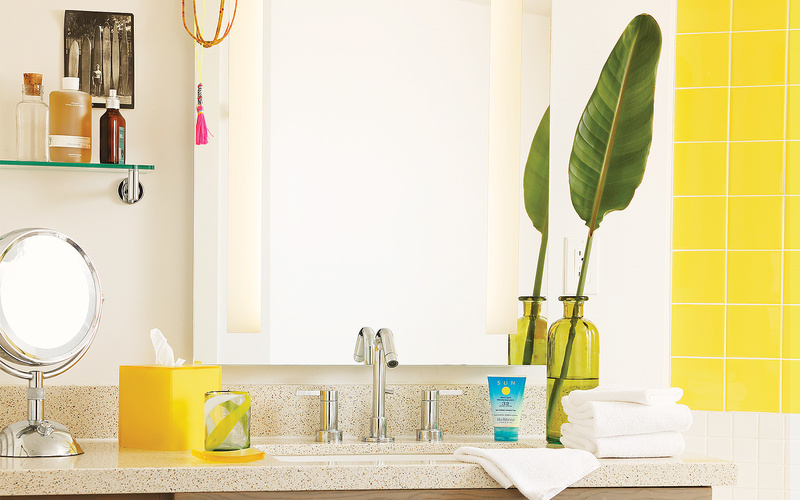 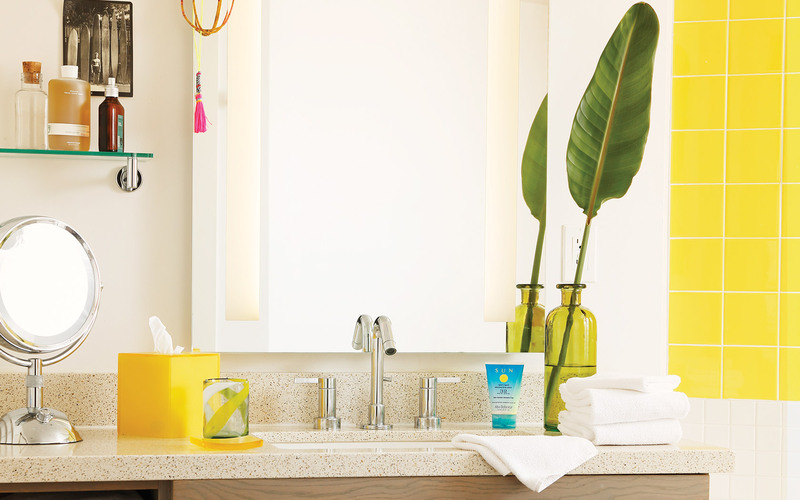 Bathrooms are equipped with a bathtub and detachable rain water shower head. 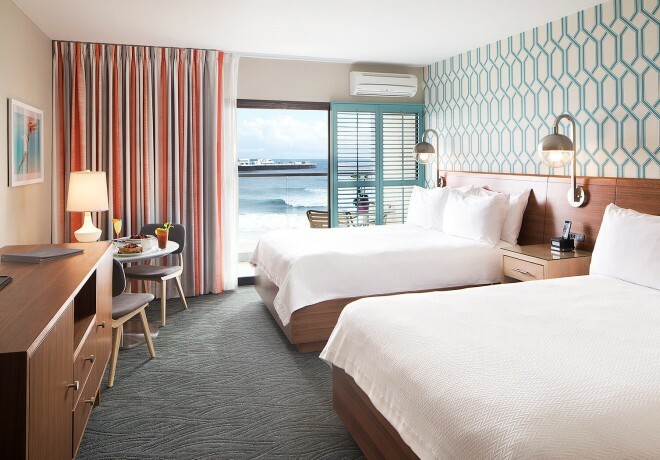 Ideal for families, our stylishly furnished Ocean View Deluxe Tower Two Queen guest room features a private balcony and plush queen beds. 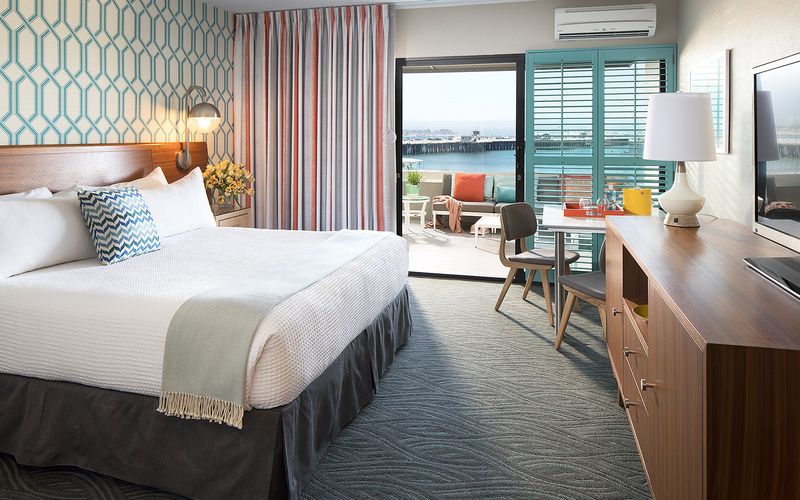 These rooms are located in the tower away from the pool. 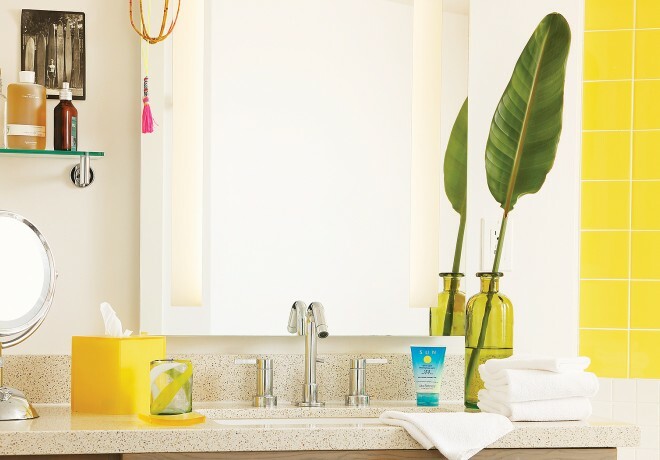 Bathrooms are equipped with a bathtub and detachable rain water shower head. 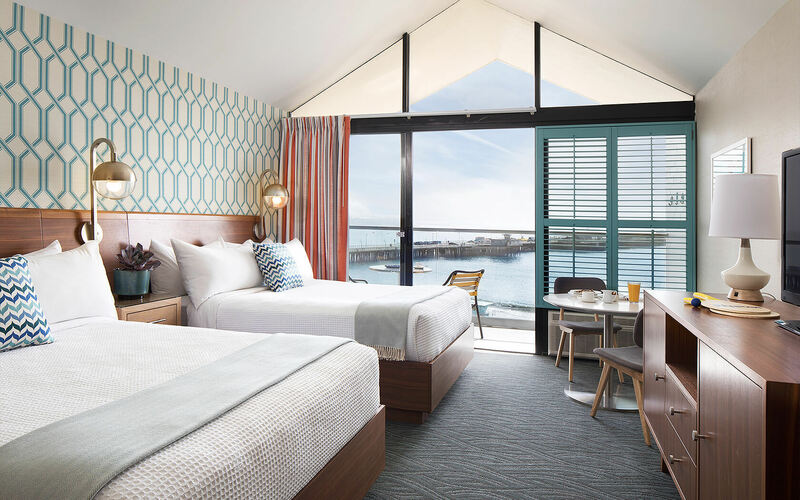 The Ocean View Deluxe King ADA guest room features a plush king bed, ADA-accessible private balcony, roll-in shower or ADA tub with a detachable rainwater shower head. 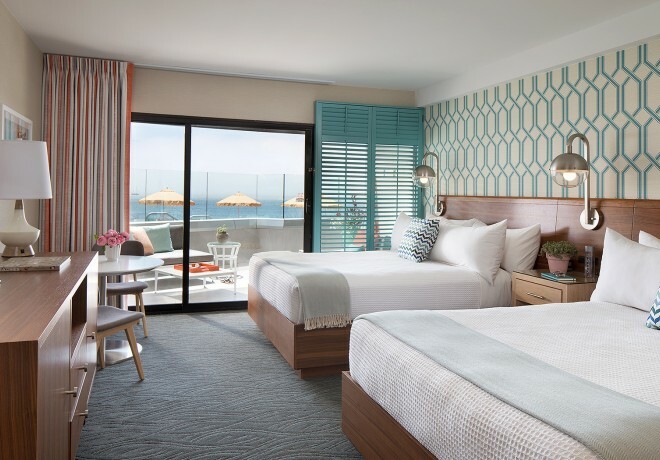 Overlooking our beachfront pool, the Ocean View Infinity Two Queen guest room features ocean views from a semi-private patio. 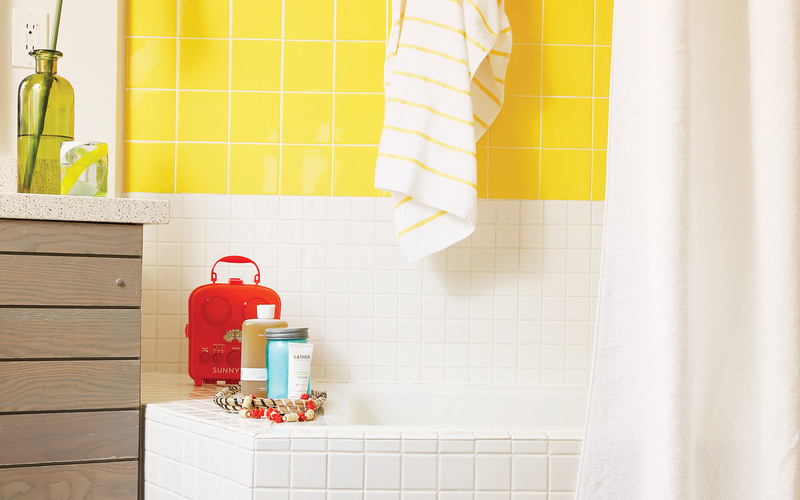 Bathrooms are equipped with a bathtub with detachable rain water shower head. 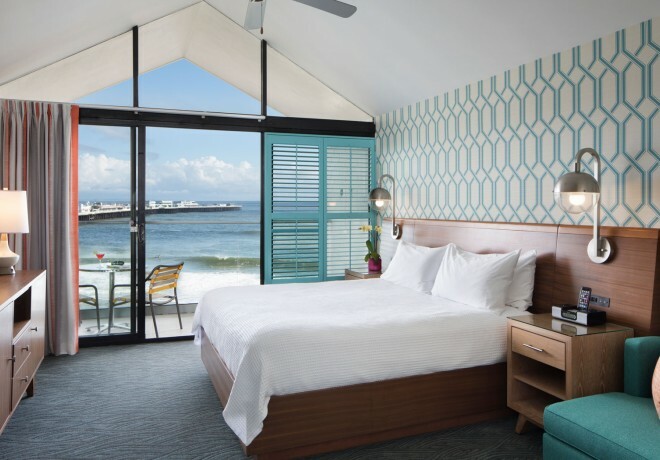 Our Ocean View Infinity King ADA guest room features a plush king bed, ADA-accessible semi-private furnished patio with ocean views and overlooking to the pool deck, and a roll-in shower with a detachable rainwater shower head. 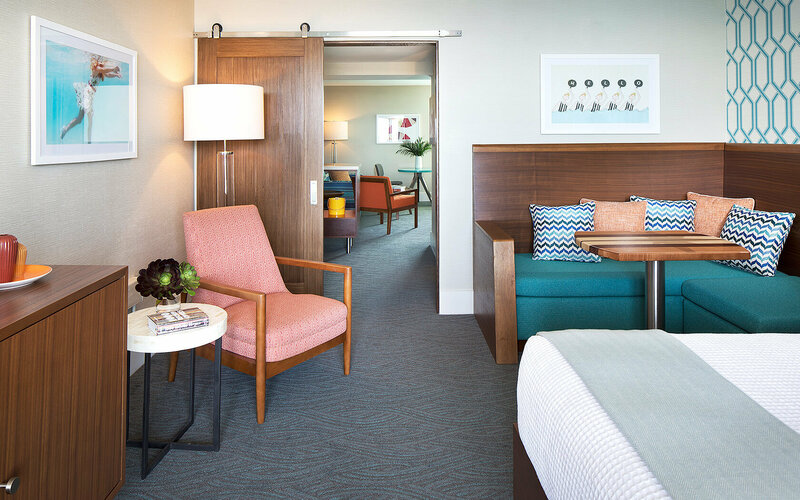 This spacious ADA suite has a king-sized bed and a sitting area with a sofa that converts to a queen-size sleeper. 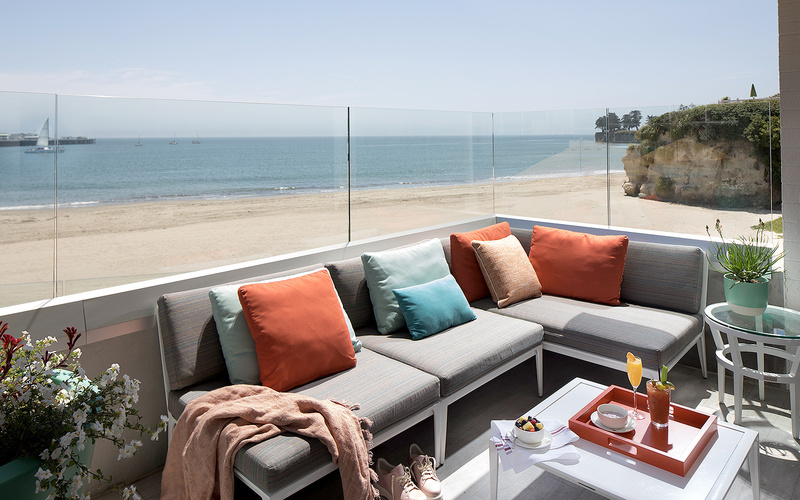 Its offers an extended patio, which immediately overlooks our newly-renovated pool deck. 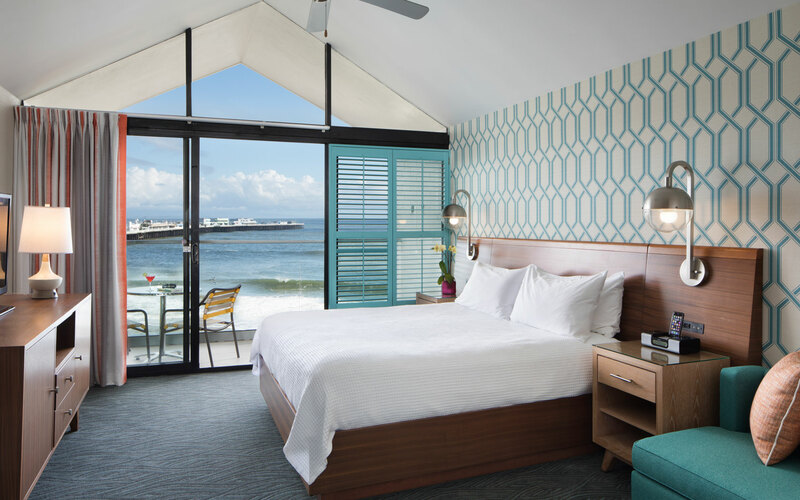 Enjoy views of the Monterey Bay, the Santa Cruz municipal wharf and Santa Cruz Beach Boardwalk. 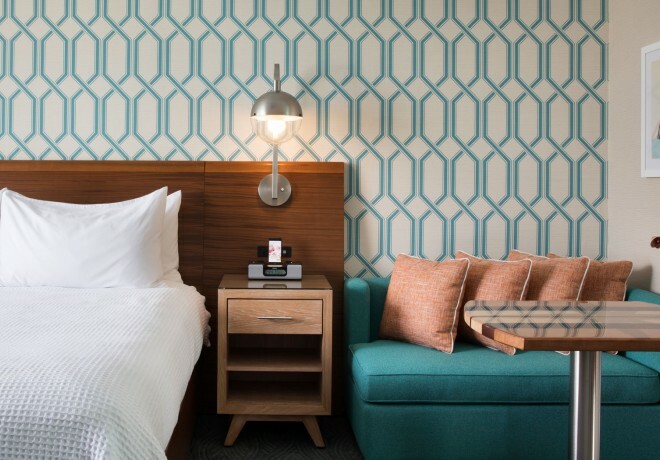 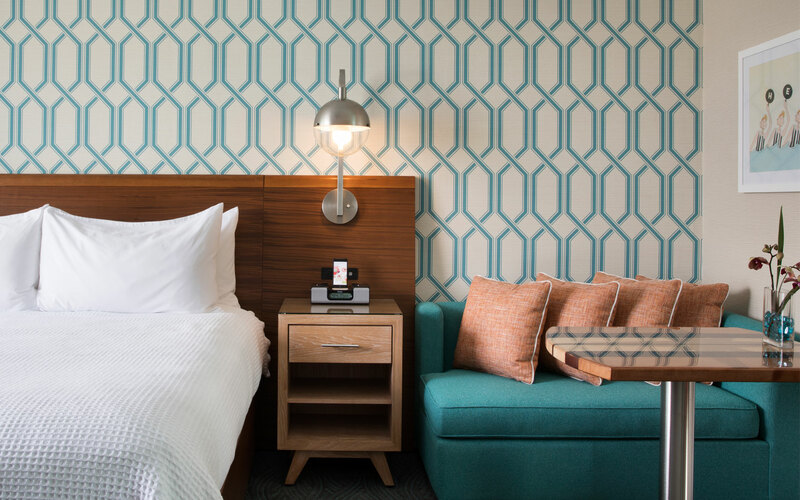 Each room has complimentary high-speed wireless internet access and free local calls, as well as iPod docking stations, large flat-screen TVs, premium in-room coffee, bathrobes, large bathtub and a safe that will fit a laptop computer. 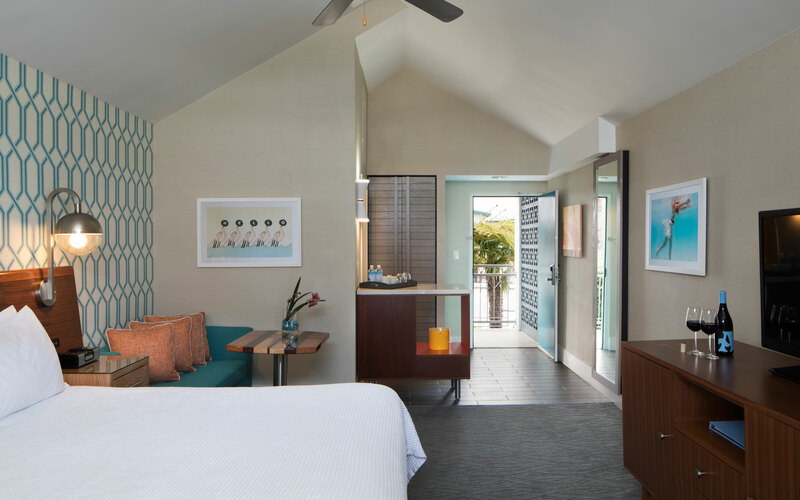 Featuring a private furnished balcony and vaulted cathedral ceiling with fans, the spacious Ocean View Cathedral Executive King is perfect for a weekend getaway. 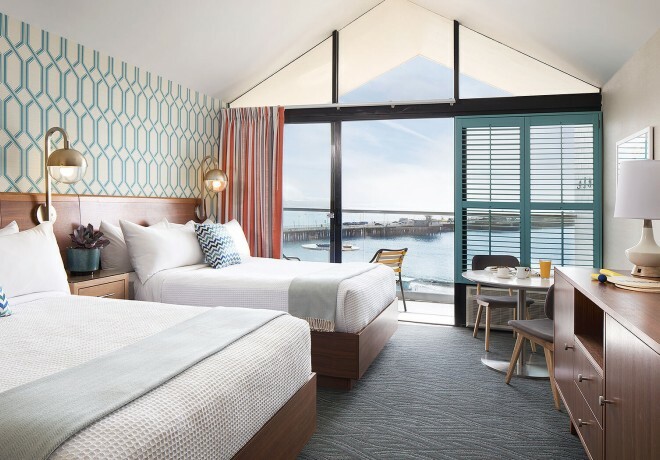 Floor to ceiling window configuration varies by room. 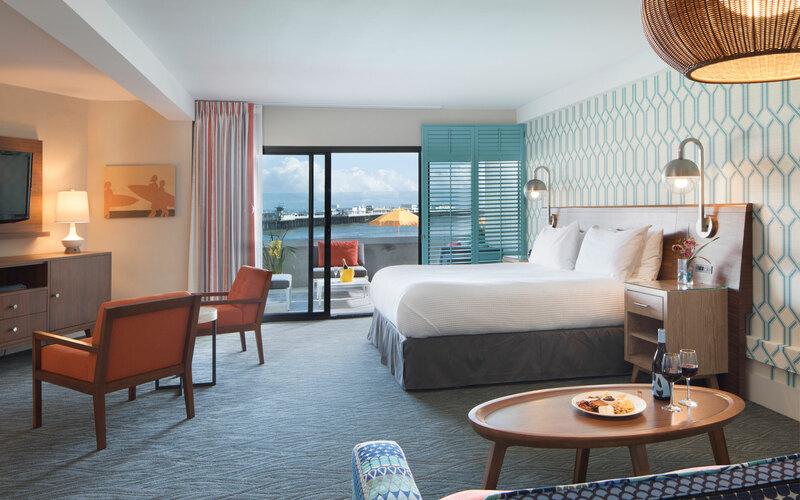 Our stylish Ocean View Cathedral Executive Two Queen features a private balcony, two queen beds, and vaulted cathedral ceiling with fans. 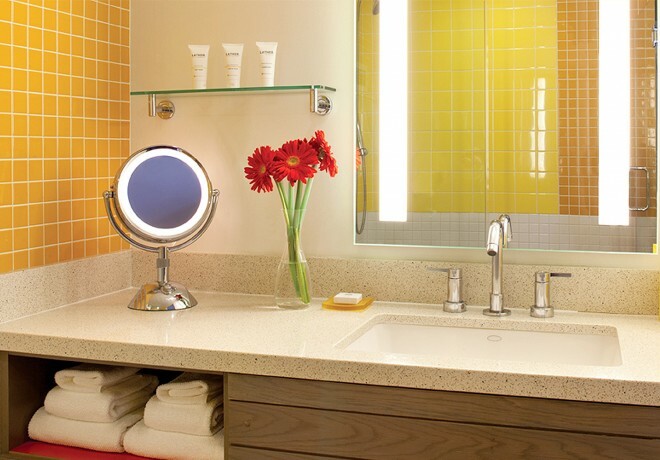 Bathrooms are equipped with a bathtub and detachable rain water shower head. 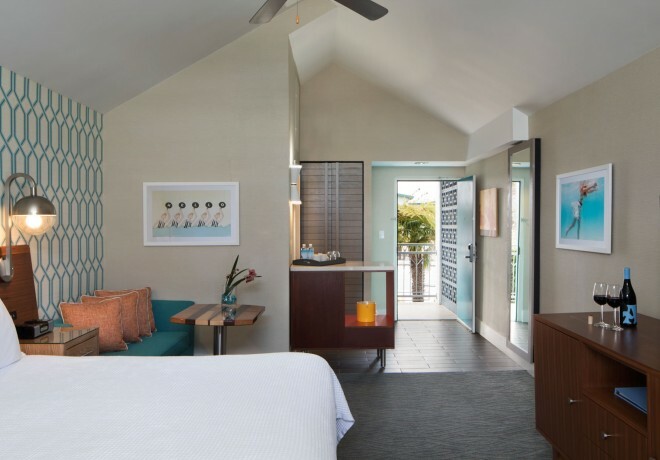 Floor to ceiling window configuration varies by room. 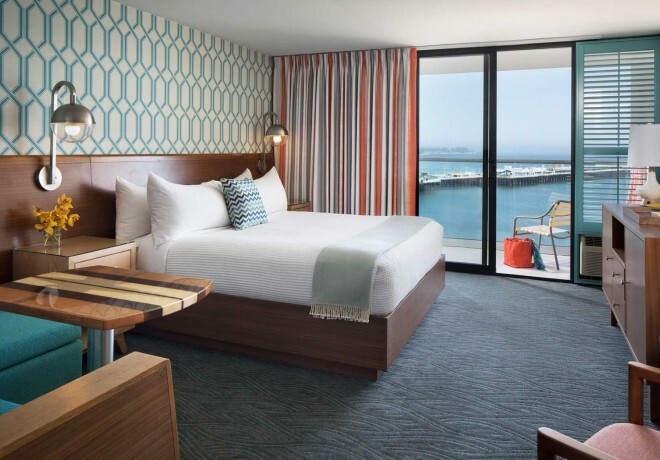 Located on floors 7 - 10, our Ocean View Cloud King guest room offers views of Monterey Bay from a private balcony. 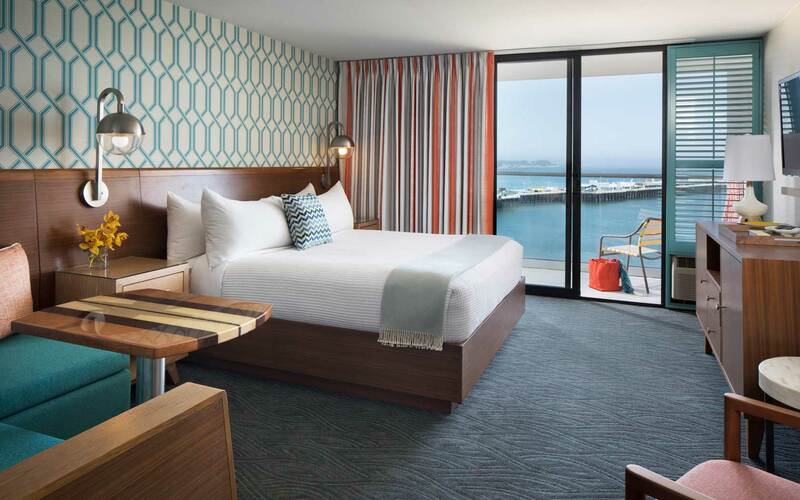 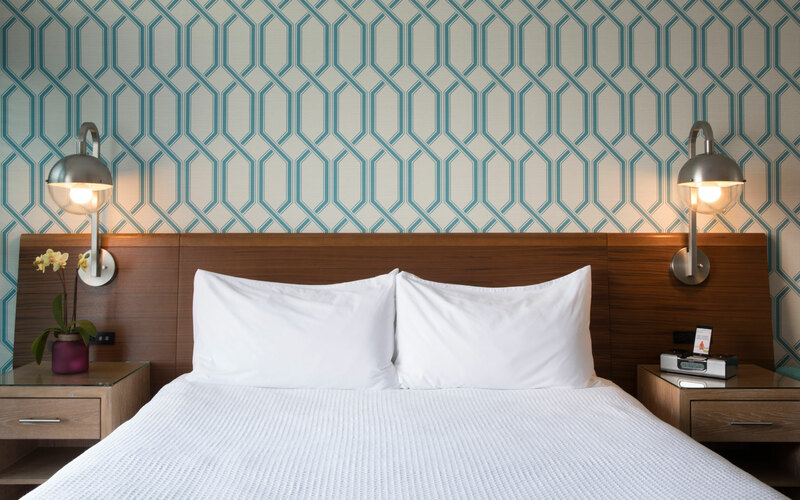 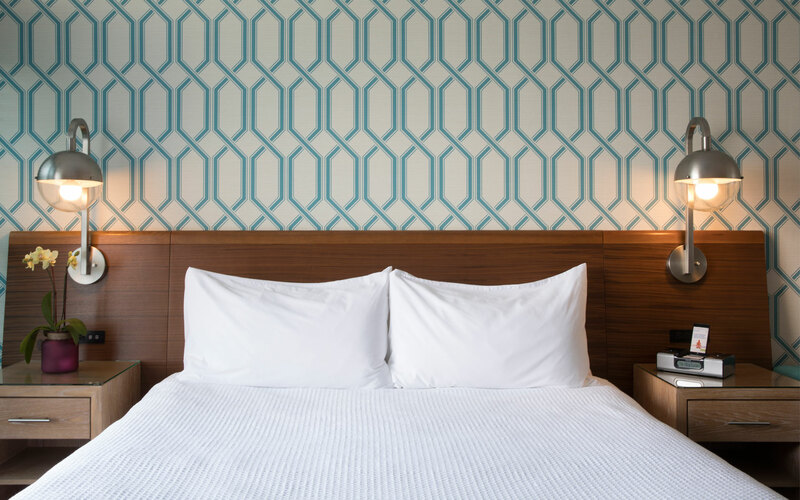 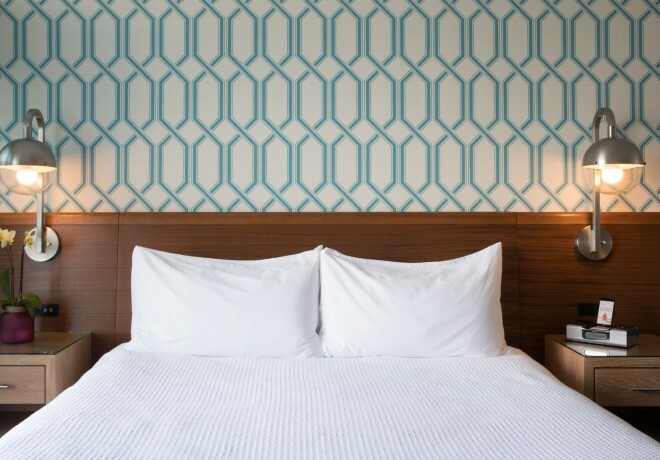 Located on floors 7-10, our Ocean View Cloud Two Queen guest room is perfect for a friends weekend. 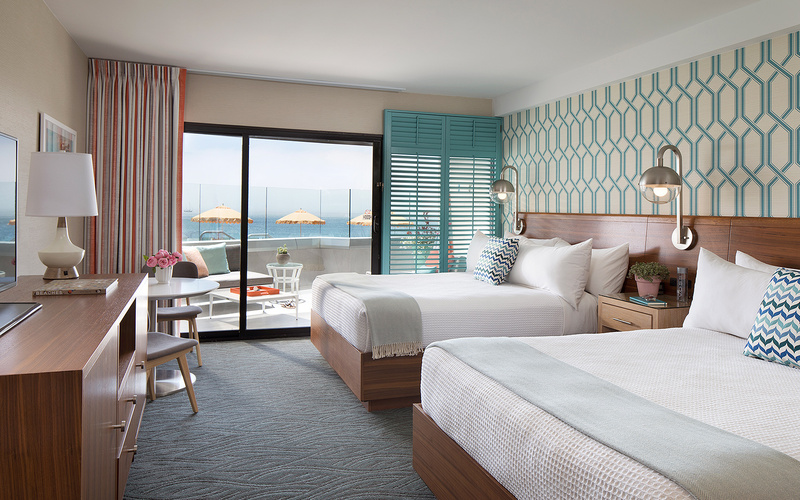 This spacious room features two queen beds, a private balcony with ocean views. 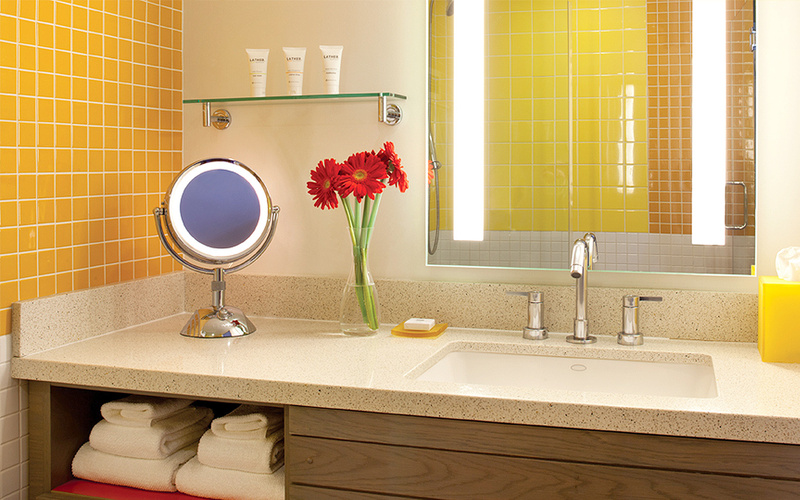 Bathrooms are equipped with a bathtub and detachable rain water shower head. 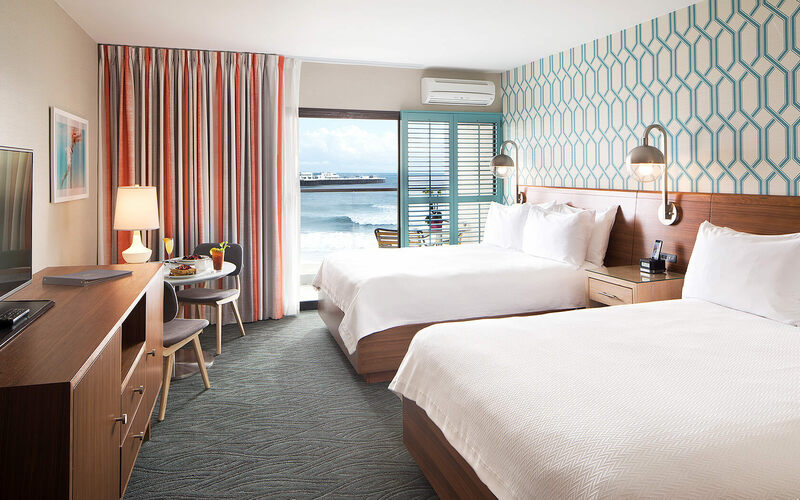 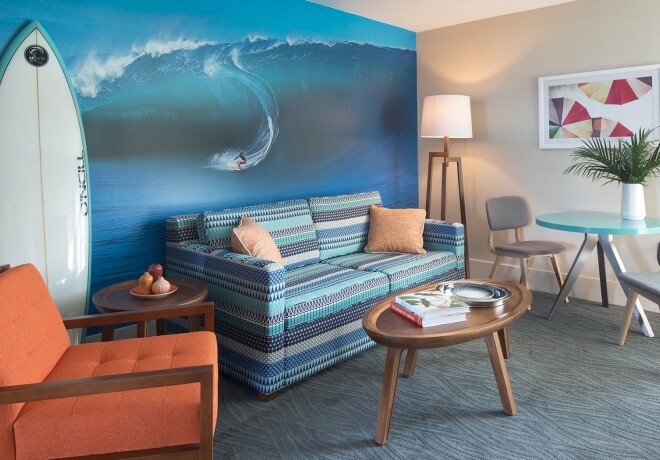 Our breezy, attractively furnished Ocean View Junior Suite features a plush king bed, private balcony with ocean views and queen sleeper sofa. 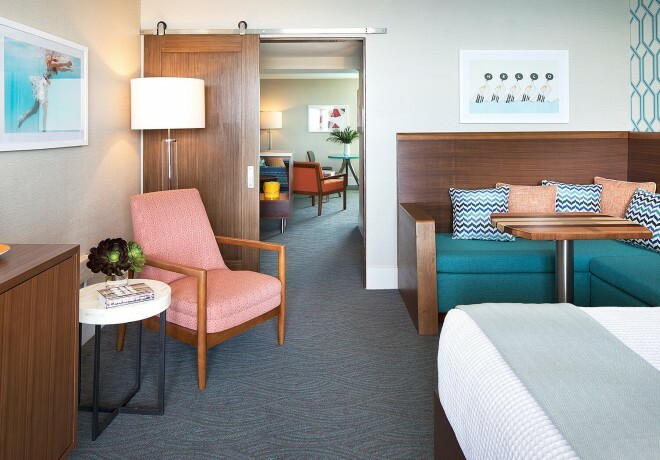 Ideal for families or friends, our spacious Ocean View Tower Suite features a king bed and separate living room with queen sleeper sofa, as well as a private balcony with sparkling ocean views. 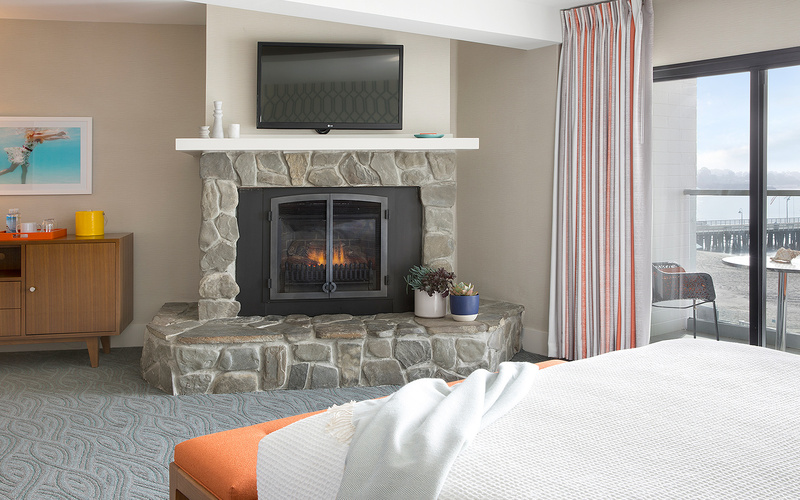 The Dream Inn suite features a king-size bed, tub, fireplace, pullout sofa bed and two chairs. 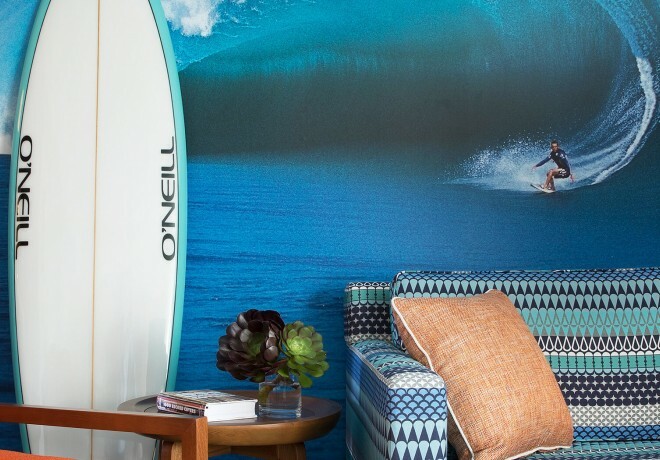 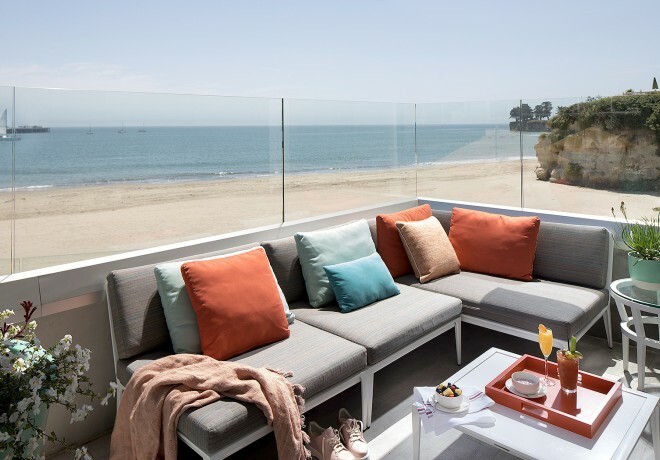 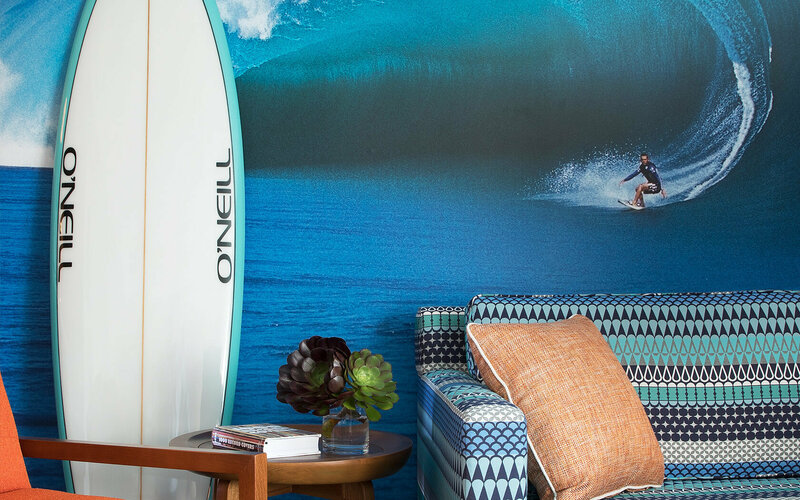 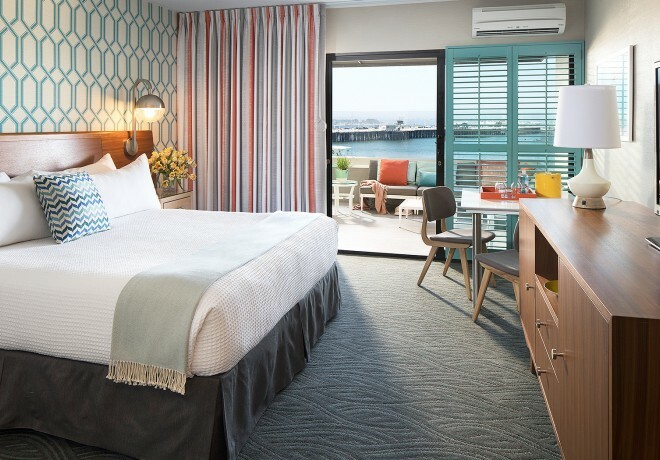 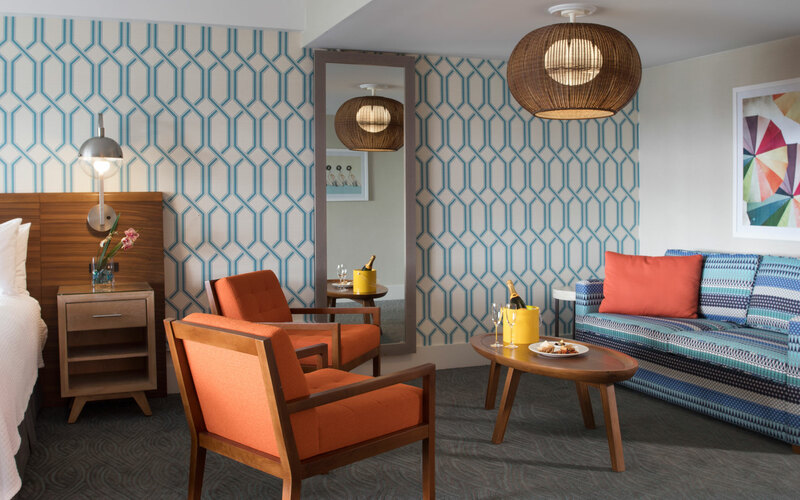 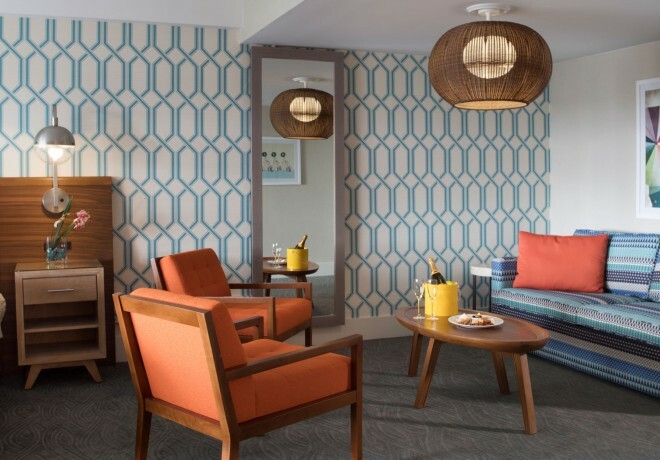 This suite boasts a private balcony overlooking the Monterey Bay, the Santa Cruz municipal wharf and the Santa Cruz Beach Boardwalk. 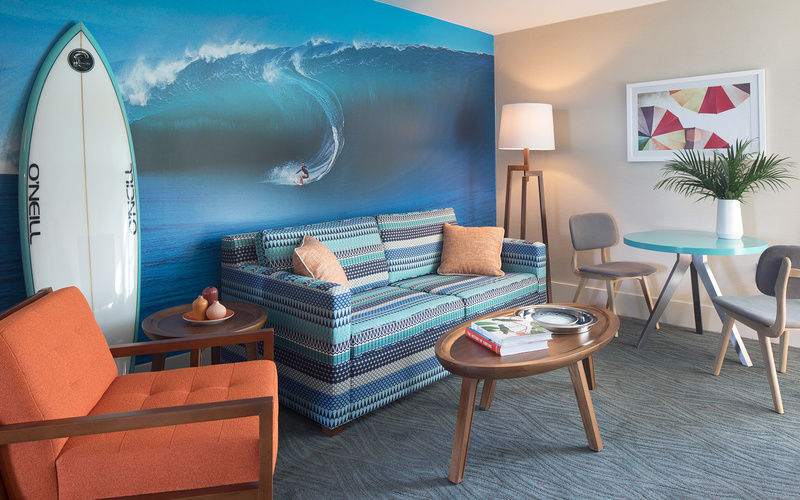 Located on Floors 7-10, the Ocean View Suite Cloud Level is ideal for families or friends. 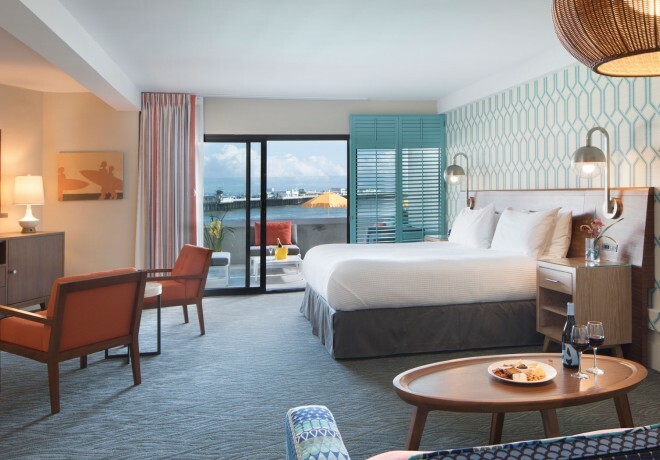 This spacious room offers a king bed and separate living room with queen sleeper sofa, as well as a private balcony with sparkling ocean views.